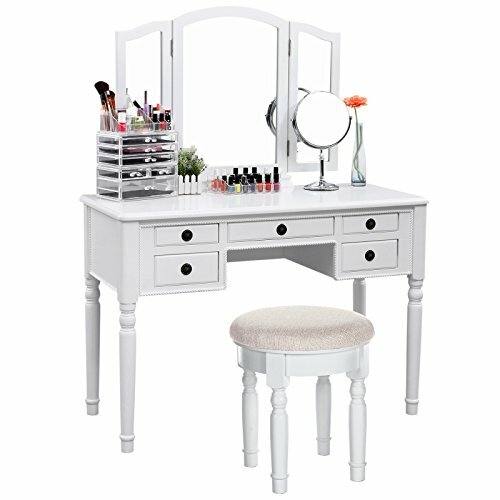 Still worry about your messy makeup? 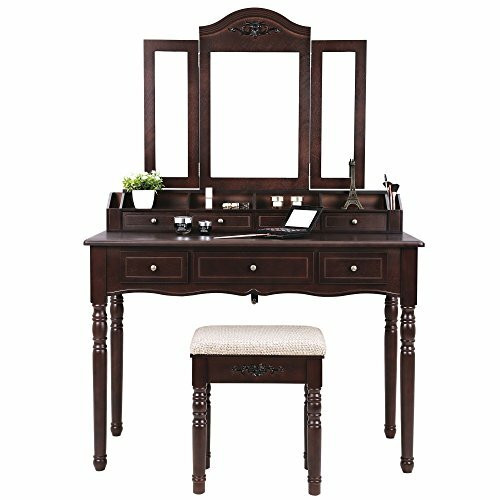 Try this SONGMICS tri-folding mirror vanity set. 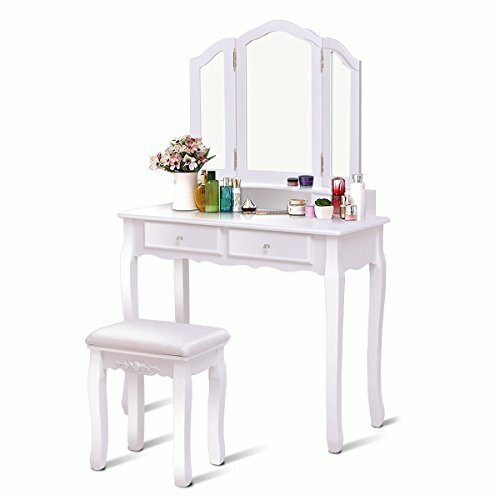 It features large storage capacity for organizing your beauty supplies, save your makeup time. 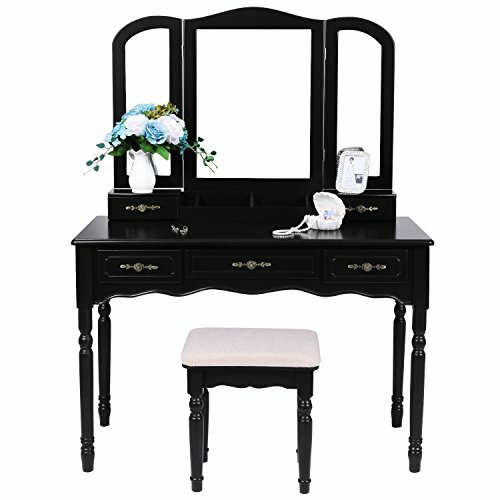 The tri-folding mirror provides better performance of your appearance. 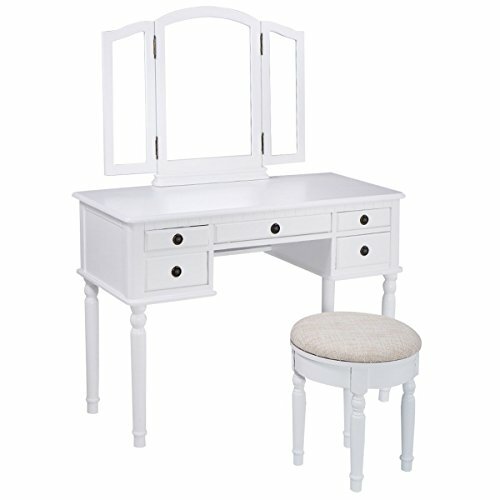 3 larger drawers offer ample storage space to neatly organize your jewelry, cosmetics and hair accessories. 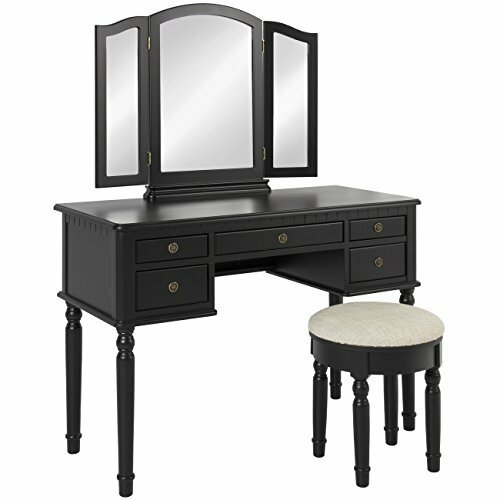 Solid wood legs make the vanity set sturdy and stable. The attached anti-slippery bottom pads protect your floor from scratches. Safety-oriented table corners protect your children from bumps. 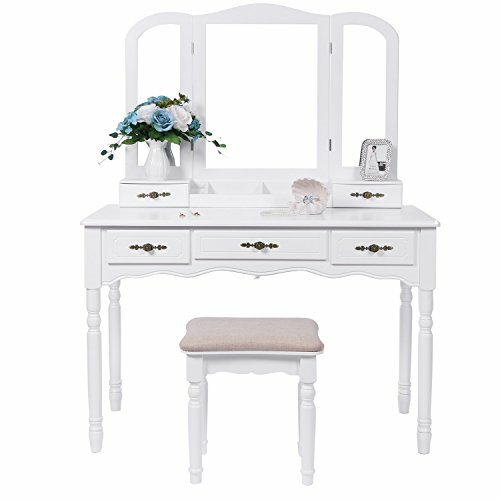 Safety strap keeps it from wobbling or toppling, making the dressing table safe when using. 2 Soft felt under the drawer reduces unpleasant noise. 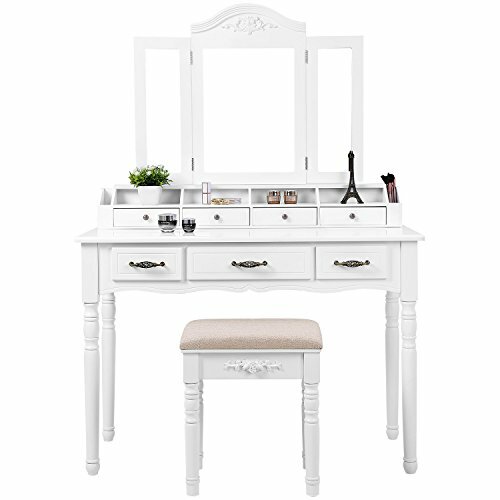 In a word, with this well-designed vanity set, your beloved assets will be well displayed and your makeup time will be saved. 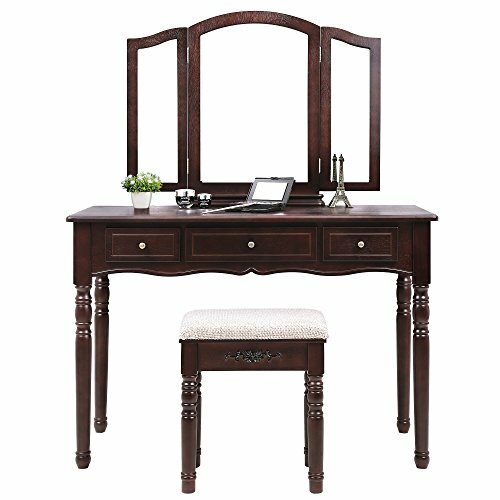 Specifications: - Color: Brown - Material: MDF, Pinewood, Rubber wood - Table Size: 42 1/2"L x 18 1/2"W x 55 1/8"H (108 x 47 x 140cm) - Stool Size: 15 7/8"L x 12 1/8"W x 18 1/2"H (40.5 x 30.5 x 47cm) - Product Weight: 72.8lbs (33kg) Package Contents: - 1 x Vanity Table - 1 x Cushioned Stool - 1 x Mirror - 1 x Instructions - 1 x Screw Bag Notes: - Avoid direct sun exposure. - Avoid pointy objects to prevent scratches.